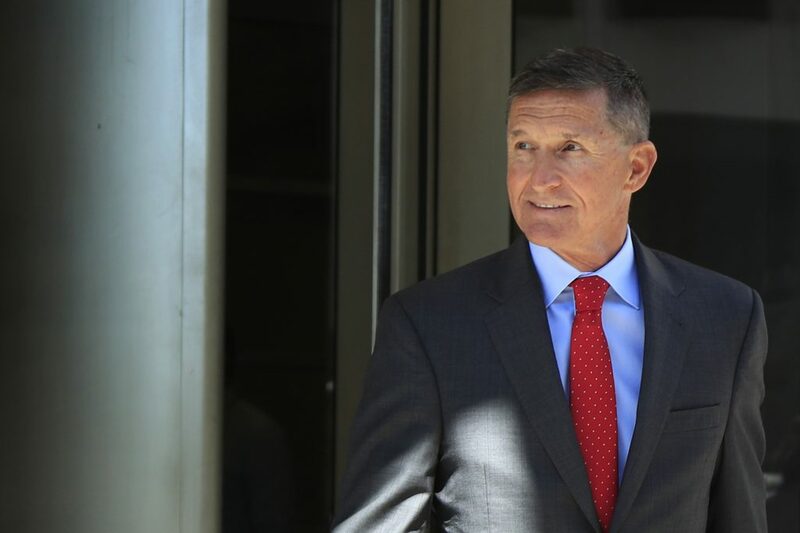 Special Counsel Robert Mueller’s office will make a sentencing recommendation for former national security adviser Michael Flynn on Tuesday, in a court filing that is expected to shed light on the extent of Flynn‘s cooperation in the Russia probe. He is so far the only member of President Donald Trump’s administration to plead guilty to a crime uncovered during Mueller’s wide-ranging investigation into Russian attempts to influence the 2016 presidential election and potential collusion by Trump aides. Others who have also since been charged by Mueller include Trump’s former campaign manager Paul Manafort and campaign deputy Rick Gates, as well as Trump’s former personal lawyer Michael Cohen, who last week pleaded guilty to lying to Congress about a proposed Trump organization skyscraper in Moscow. Flynn‘s crime of lying to the FBI carries a statutory maximum sentence of five years in prison. However his plea agreement states he is eligible for a sentence of zero to six months and can ask the court not to impose a fine. Flynn, a retired army general, was forced to resign after he was found to have misled Vice President Mike Pence about discussions he had with then-Russian Ambassador Sergei Kislyak.